Now one thing I want to mention is that if you are on a growth journey then you might not see the logic of trimming or cutting your hair because you might think it sort of “defeats the purpose.” The argument I would make is while your goal might be length you should not sacrifice health. It is not necessary to trim your ends every months or every two months you might want to trim 2 times a year but you NEED to look and feel the condition of your hair. If you are holding onto every single strand of damaged ends just for the sake of having length you actually might end up compromising your length because of breakage! You want to be able to control how much is being cut versus it breaking off on its own. You want to limit the amount of damage versus causing more damage by ignoring the obvious. Now this is my ‘plan’ you never know I might end up having to dust by February and might end up “cutting” twice in the year. So I still keep an open mind that anything can happen. While I am not the biggest fan of “length checks” because whenever I have seen girls do them it always seems to be based on their personal opinion on what “bra strap”, “mid back” “shoulder” length is. I have also seen girls stretch down to the very ends of their hair (where they basically have something like 6 strands of hair) and then say “oh so I have x- inches at the back.” I personally like to keep track of the length of my hair to monitor if I have experienced breakage. If I have it noted down it also helps to me to determine the reason why I might be experiencing a decrease or increase in length or if I feel I experienced breakage. I can look back at my journal to see what happened at that particular time and why it might have happened. 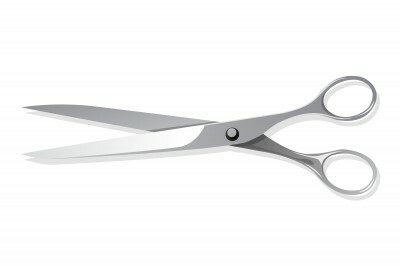 Do you trim/cut your hair yourself? Do you have planned dates of when you will trim/cut your hair? How much on average do you cut? I would love to hear from you! This entry was posted in Hair Care, Hair Cutting, Hair Trimming and tagged Dusting Curls, Dusting Natural Curly Ends, hair cutting, Hair trimming on January 31, 2014 by Maicurls.